The purpose of the GWRL&M is to provide students, educators, scholars, society and industry personnel with a Makeup & Hair resource to explore and examine the role of Makeup & Hair design, as well as their relationship to society and history. The collection is sustained with standard museum practices for continued acquisition and preservation of the Makeup & Hair: Tools, Techniques, Procedures and Products. Its efforts also focus on the development of education, exhibition, outreach and volunteer programs. 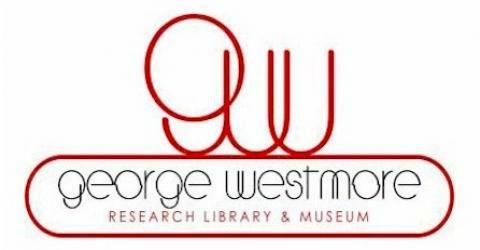 The GWRL&M was founded in Burbank in 2000 by Marvin G. Westmore, (Grandson of George H. Westmore) in order to serve the Westmore Academy of Cosmetic Arts students growing needs for historical research. Since January 2006, the museum’s operations have always been separate from the Makeup Academy in an effort to offer more specialized care and attention to the specific needs of a Makeup & Hair collection and develop a research library and museum to fulfill the community and cultural needs, add museum-trained personnel and create a respected Board of Directors. In 2010 the Westmore Academy was purchased by Empire Beauty Schools @ www.Empire.edu and sadly, in March 2012 Empire decided because of the nations continued economic problem as well as the US Bank’s reluctance to issue educational loans Empire would not maintain the Hollywood/Burbank location. Currently Empire has over 107 location across the United States. The GWRL&M was not part of the Westmore Academy acquisition and thus continues to operate as a separate entity. 2014 is a landmark year for Makeup’s legendary Westmore family – thus marking 97 years of services that the family has provided to Hollywood’s film industry and as medical cosmetic specialists. The program covers and provides consultation, counseling and instruction – in collaboration with physicians, surgeons, dermatologists and other medical specialists – to medically referred clients who have undergone aesthetic or re-constructive surgery, as well as post-trauma patients and those with congenital skin discoloration. This program constitutes a cultural and social effort on behalf of the Westmore’s to enhance participant’s lives. George’s sons, Monte, Ern, Perc, Wally, Bud and Frank went on to open their own makeup departments, Monte at Famous Players-Lasky Studio, on Selma & Vine, later at Paramount Pictures on Melrose, and the other brothers at Warner Bros. Selznick International and RKO Hollywood Studio. By the 1930s nearly every movie studio had a Westmore heading their makeup department. In 1935 the brothers teamed up to open the most opulent salon of its time, a glamour mecca: The House of Westmore located at 6638 Sunset Blvd. on the famous Sunset Strip. Bud Westmore ran the makeup department at Universal International Pictures for 24 years where he re-created the makeup designs for Universal’s horror characters including, Frankenstein and the Creature from the Black Lagoon. Youngest son, Frank was a freelance makeup artist who worked with Cecil B. deMille on The Ten Commandments and wrote a family biography titled, The Westmore’s of Hollywood. The museum is pursuing multicultural internship grants and welcomes interns as well as individuals who are interested in pursuing careers in non-profit, Library Science and Museum Curating. The following donations are gratefully received: makeup tools, books, products, photographs, marketing materials, makeup manufacturing tools, and monetary donations. The Research Library & Museum will consider other items and elements if they fall into the parameters of the museum collection goals.